To celebrate the 50th anniversary of a scout, Neil Armstrong, walking on the Moon on July the 20th 1969, we plan to launch a Cub into space! We plan to put the smallest cub we have into a basket below a large helium balloon. 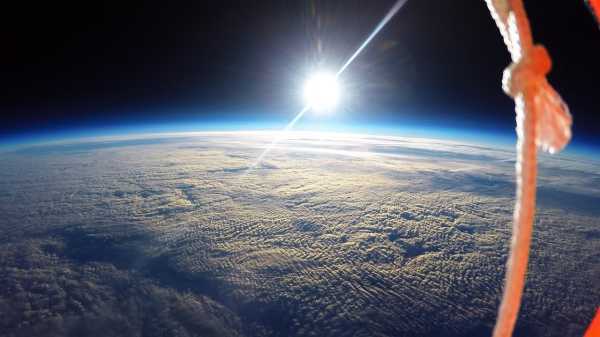 We will attach a couple of cameras to record the cub as they travel into space, and the view down from below the basket. We have approval from Cambridge Airports' Air Traffic Control for a clearly defined launch window in July. We will be building the craft and equipping it and, of course, providing our cub with suitable training. After starting the cameras rolling, and within our approved launch window from Cambridge ATC, we will launch the cub from our facilities, yet to be built, in the back of our hut on Flamsteed Road. After a couple of hours flight the balloon will burst and the parachute will be deployed, slowing the descent to a survivable, if a tad hairy, speed. We will then use tracking signals to locate the remains of our cub's basket, our cub and the cameras. We will upload the video here.